US Hedge funds continue to bet on further improvement in the ruble, signifying a belief the Russian currency may extend its recent gains. In the week through September 27, investors acquired another 1,425 contracts for the ruble against the dollar, according to the US Commodity Futures Trading Commission. The bet on the ruble is at a historic high of 24,052 contracts. The number of ruble short positions fell by almost 50 percent to 3,013. On Monday, the Russian currency showed its best performance against the US dollar since October last year, trading at 62.24 against the greenback. The ruble was also trading below 70 against the euro for first time since July. 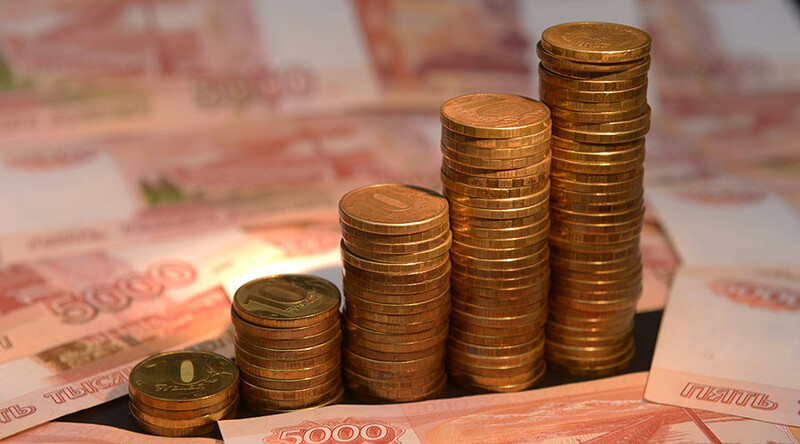 The strong ruble is not beneficial to the Russian budget, but on the other hand, it attracts foreign speculators who are buying ruble-denominated federal bonds, said Citigroup analyst Ivan Chakarov. “Russian officials may intervene verbally to slow down the pace of the ruble’s appreciation,” Piotr Matys, a currency strategist at Rabobank in London told Bloomberg, adding the ruble is enjoying the “spike in oil prices above the psychological level of $50 per barrel." Brent crude reached $50.65 per barrel during Monday's trading while US benchmark West Texas Intermediate was up to $48.66 per barrel, as of 12:00pm GMT. This is oil’s best performance since August 19 after OPEC announced it had reached an agreement to reduce the oil glut. Russian stock markets were trading higher Monday. The dollar-denominated RTS index was gaining over one percent, while the ruble-traded MICEX was up a quarter of a percent, as of 3:00pm MSK.